A collaboration between Prof. Ann Simpson of the University of Technology Sydney (UTS) in Australia and a U.S. clinical stage biotechnology company, PharmaCyte Biotech, shows promise for a unique alternative therapy for a generation of type 1 diabetes patients. Utilizing human liver cells engineered to supply the body with insulin, the therapy could eliminate the daily requirements for insulin management and prevent life threatening complications associated with diabetes. 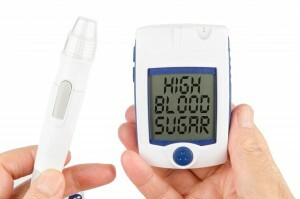 In 2012 it was estimated that diabetes affects 29.1 million people worldwide. The Juvenile Diabetes Research Foundation estimates that 3 million Americans alone suffer from the autoimmune disease type 1 diabetes, for which there is currently no cure. The current treatment of type 1 diabetes requires frequent insulin injections and dietary restrictions. More seriously, type 1 diabetes is a lifelong autoimmune disease that can ultimately result in eye and kidney diseases, nerve impairment, and cardiovascular complications. Simpson and her colleagues developed insulin-producing, artificially engineered “Melligen” cells that produce, store, and release insulin in amounts relevant to the blood sugar levels of individual patients. A patent was recently obtained for Melligen cells through the U.S. Patent Office, and the cell line is now in the process of being commercialized for human preclinical trials by PharmaCyte. PharmaCyte’s Cell-in-a-Box technology will be used to prevent the inflammatory immune response that commonly happens upon transplantation of foreign tissue into the body. Cell-in-a-Box is a signature technology of PharmaCyte and serves to encapsulate live cells in a robust manner for an extended time to aid in successful transplantation. PharmaCyte hopes to apply this technology to Melligen cells to ensure their success in the human body. Using the insulin-producing Melligen cells developed at UTS, along with PharmaCyte’s advanced biological delivery technology Cell-in-a-Box, researchers hope to commercialize a groundbreaking therapy as they work toward a possible cure for type 1 diabetes. Melligen cells could also be used in cases of advanced type 2 diabetes, where current medications are no longer effective. “For the millions of people worldwide who suffer from a disease of epidemic proportions, our treatment could relieve them of the onerous daily requirements for insulin administration and dietary restrictions and offer a life free from the very serious and even life-threatening complications associated with diabetes,” said PharmaCyte CEO Kenneth L. Waggoner.